Shortly after Israel’s great deliverance from Egypt, God made a covenant with the nation of Israel that He would be their God and they would be His people. Like most covenants, God’s covenant with the nation of Israel had conditions. Covenant conditions may take the form of terms (as in a written contract), vows (as in a marriage) or commandments (as between God and man). The covenant conditions are the basis for the covenant relationship…they define the relationship agreed to in the covenant. If the covenant terms are not kept…if the vows are violated…if the commandments are broken…the covenant is broken…it becomes null and void. And I saw that for all the adulteries of faithless Israel, I had sent her away and given her a writ of divorce, yet her treacherous sister Judah did not fear; but she went and was a harlot also. In God’s covenant with Israel, the covenant terms were The Ten Commandments, which God spelled out immediately after saying He would make a covenant with Israel (Exodus 20:1-17). Later, God wrote The Ten Commandments (the covenant vows) in stone and they were placed inside the Ark of the Covenant. One of the ancient customs associated with covenants was to write the covenant vows on paper, then roll the paper up in a tiny scroll and place it inside a locket worn as jewelry…similar to a charm worn today on a bracelet, necklace, or headband. Similarly, God instructed Israel to build the Ark of the Covenant in which the stone tablets containing The Ten Commandments were to be placed. 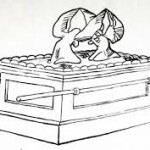 The covenant vows were placed inside the covenant box. What about the New Covenant? We know Jesus fulfilled the Old Covenant (both the Abrahamic Covenant and the Mosaic Covenant) on our behalf. We now reap the benefits of the old covenant when we enter into covenant with Jesus Christ. But what are the conditions of the New Covenant? Jesus clearly spelled them out at His last supper with His disciples. Do you see how closely His wording parallels the words God said to Israel? “If you keep My commandments…” The commandments are the covenant terms…the covenant vows…the conditions on which the covenant relationship is based. So what are the commandments Jesus was referring to? God gave Israel The Ten Commandments as their covenant vows. What are Jesus’ commandments for the New Covenant? Remember, this was the same meal at which Jesus enacted the New Covenant. It was also a Passover Meal…the remembrance meal of the Old Covenant…an annual renewal of Israel’s covenant with God. In the last supper, Jesus simultaneously fulfilled the Old Covenant and enacted the New Covenant. At the same covenant meal, Jesus both declared the New Covenant and declared the covenant terms…a new commandment to accompany the new covenant. Jesus had previously explained very clearly the difference between those with whom He is in covenant and those with whom He is not in covenant…those whom He knows and those whom He “never knew”…those who keep His commandment and those who do not. “But when the Son of Man comes in His glory, and all the angels with Him, then He will sit on His glorious throne. All the nations will be gathered before Him; and He will separate them from one another, as the shepherd separates the sheep from the goats; and He will put the sheep on His right, and the goats on the left. 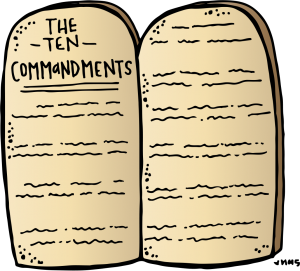 Israel had ten commandments…ten covenant vows. We have one…love one another as Christ has loved us. God carved the commandments of the Old Covenant on stone tablets to be placed inside the Ark of the covenant. Where is the commandment of the New Covenant written and kept? The terms of our covenant with Christ…our New Commandment…the covenant vow of the New Covenant…is written in our hearts and sealed with the Holy Spirit who transforms us to His image, enabling us to keep our covenant vow. He gave us the commandment…and He gives us a new heart so we can keep the commandment. The New Covenant is not, as many claim, an unconditional covenant. It is very much a conditional covenant and the conditions are clearly spelled out. 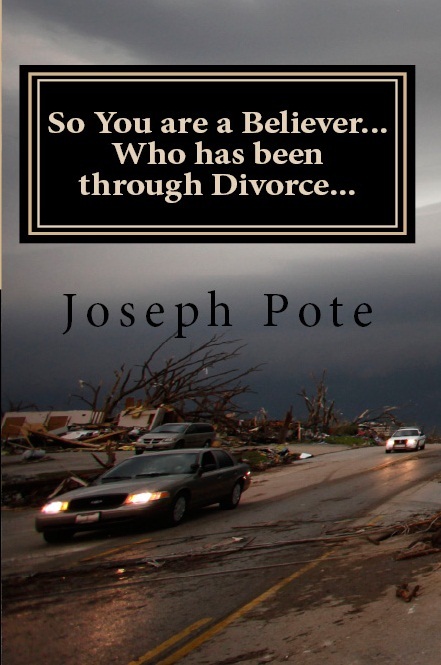 However, it is a covenant in which our covenant partner enables us to keep the vows through His transforming power.